Sometimes the Van Revolves Around the Wheels. 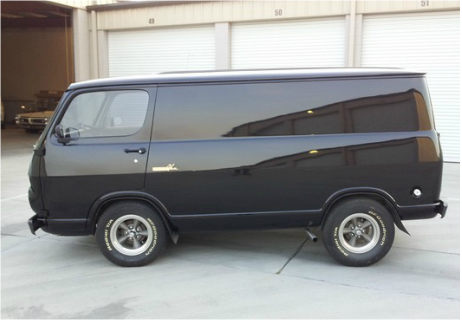 There were lots of great wheels available to the van enthusiast in the 60's and 70's, from factory wheels to wires. This gallery is intended to familiarize you with many of the popular options, but is in no way an attempt to show all of the options available to the period enthusiast. And beyond that, the modern day options are truly mind-boggling. This will give you a little taste of the period-correct options available to you. Slotted Aluminum wheels were a common mod back in the day with most tire shops happy to set you up along with your replacement tires. Available in 14" and 15" sizes. 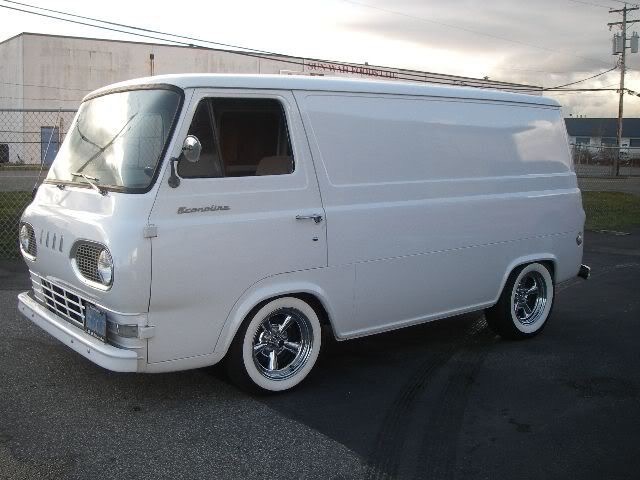 Astro Supreme wheels gained popularity with the lowrider movement and while not an extremely common choice on early vans, they do , it does lend a custom influence. White wall tires are the ideal compliment to this choice. In keeping with its influence, 14" wheels that tuck nicely in the wheel wells, with little to no rake makes the right statement. The Cragar SS wheel is considered by many to be the definitive period-perfect wheel for an early Econoline, in either 14" or 15". Ideally a larger tire and wheel width in the rear with a pronounced rake was an extremely popular look that seemed to strike an ideal balance between custom and performance. This wheel is a personal fave and would our nod if a period 70's cruisier style is what you're after. 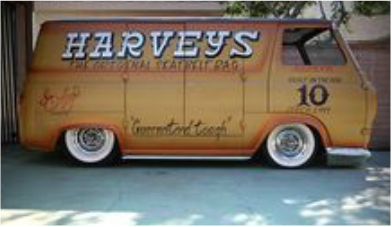 Factory style wheels are a very tasteful way to customize an early van and each one of the factories created upgraded wheels that were often packaged with their pony- or muscles cars. 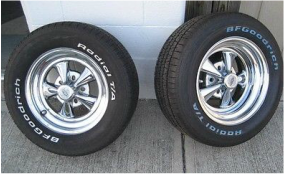 These Chevy rally wheels with disc brake caps, for instance could be ordered on many of the Chevy performance models. Another popular wheel from the sixties and seventies was the American Racing Wheels Torq Thrust Wheels, which were a popular addition among the hot rod crowd. Putting these on an early van has a way off making your early van look like its got some muscle. These were available in polished or forged spokes and which you prefer comes down to how much you like polishing. Either one is a badass addition if you're looking for a period performance look. Chrome reverse wheels are an old trick but a good one. This style of wheel came from the custom car movement and pre-dates the first-generation vans, but continues to be a subtle, yet custom touch that respond particularly well to lowering. 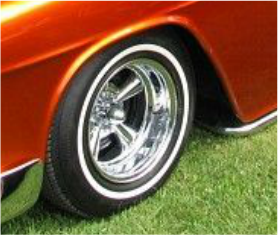 Back in the seventies, the Centerline style wheels had its moment in the sun. Although not as commonly seen today, this was the wheel to have in the mid seventies, and give the first gen va a decidedly hot rod look when combined with big and littles and BFG white-letter tires. 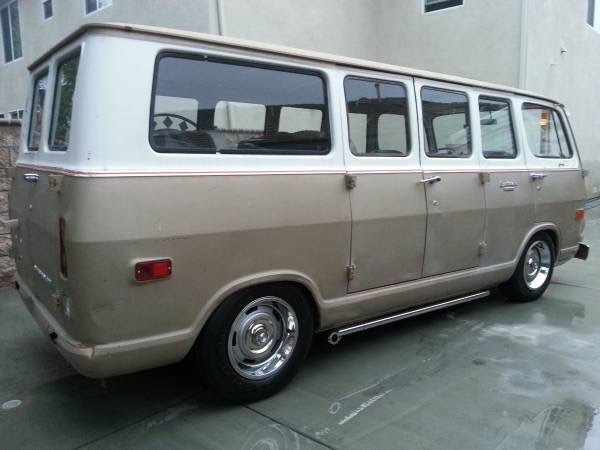 Let's not lose sight of just how nice a set of factory rims with clean hub caps can look on an early van. This is a look that works well with 14" rims and a lowered stance. We've even seen it done with 13" wheels and it has a definite understated charm.This is a look you can bring home to mother or show up to church with. As long as you haven't been out all stinkin' night.